Contract workers, like Uber and Lyft drivers, have actually decreased as a percentage of workers since 2005. Arrests for intoxicated driving dropped more precipitously in Philadelphia over much of the last decade than in any other Southeastern Pennsylvania county. 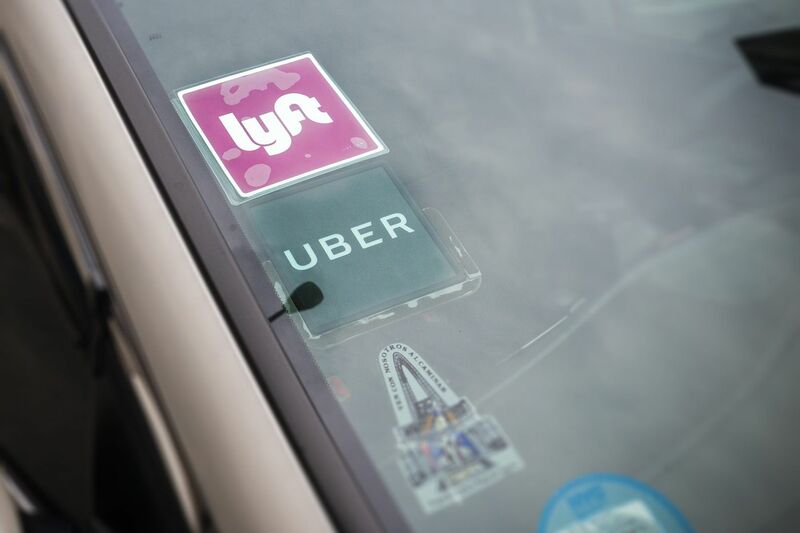 At the same time, use of ride-sharing services like Uber and Lyft skyrocketed. So what is the connection, if any? From 2009 to 2017, arrests for driving under the influence of drugs or drink dropped 33 percent in Philadelphia, compared with 13 percent decline statewide, according to the latest data from the Pennsylvania Uniform Crime Report. No other county in the region reported that significant a drop. The number has fallen 14 percent in just two years, from 2015 to 2017. Drunken driving crashes also show a dramatic decline in Philadelphia from 2015 to 2017, according to AAA, though fatality numbers haven't dropped. In the last five years, an average of 17 people each year have died in the city's drunken driving crashes. During that 2015 to 2017 span, Uber and Lyft took off in Philadelphia, according to recently obtained data from the Philadelphia Parking Authority. From July through September 2016, the two companies provided 4.6 million trips in Philadelphia. During the same time period a year later, that number jumped to 7.6 million trips. Ride-share apps now provide more than 10 million trips a quarter, the PPA reported — more than double the number of just two years ago. So the ride-share and DUI data are related, right? Uber certainly thinks so. The San Francisco-based tech company reports that trips peak nationwide at times when people are typically drinking, such as Fridays and Saturdays. In Philadelphia specifically, six of the top 10 destinations after 9 p.m. are places that serve alcohol, and trips departing bars peak around the time the city's watering holes close, the company reported. The company also noted that riders reported in a national survey that they chose Uber as a safe way to get home, something independently supported by a recent study from New York City transit researcher Bruce Schaller. That study found that ride-share users most often used the service to avoid drinking and driving or to avoid the cost and irritation of finding parking. The total number of DUI arrests by state and local police shows a downward trend in Philadelphia and surrounding counties. The question of whether ride sharing is reducing drunken driving came through Curious Philly, a forum where readers can ask journalists about their communities. It turned out to be an inquiry with answers more nuanced than a simple yes or no. The general sense is that ride sharing is helping, but it's unclear to what extent. "It's possible that there's a reduction in alcohol-related crashes in Philadelphia that is attributable in part to ride sharing," said Christopher Morrison, a Columbia University professor who has studied the issue. "We just don't know that for sure." Muddying the waters are the many other factors that affect drinking and driving — and a lack of data. Alcohol consumption among young people is down, for one thing. Drinking and driving has also been in an overall decline since 1998, according to PennDot data, a trend that's held even as vehicle miles traveled in the state have increased. Also in decline are motor vehicle violations issued by the Philadelphia police overall. Doing less traffic enforcement would likely lead to fewer DUI arrests. Meanwhile, ride sharing remains relatively new, and detailed trip data that would make clear where people are traveling, and when, remains something companies like Uber and Lyft are loath to share. Morrison, who studied ride sharing's effect on drunken driving in four cities while he was at the University of Pennsylvania, brought up some other factors, including a city's characteristics, willingness to use ride-share apps, access to public transit and taxis, and how bars are distributed around a city. His study looked at data from 2013 to 2016 in cities where ride-share apps had operated, been shut down, and then resumed operating. In two of those cities, Portland, Ore., and San Antonio, Texas, crashes caused by intoxicated driving declined when ride sharing came back into business. In the other two, Las Vegas and Reno, Nev., there seemed to be no correlation, he said. He is unsure why some cities showed a relationship while others didn't. "We just don't know what the characteristics are," Morrison said. "There might be some similarities between Portland and Philadelphia, but we don't know if those are the similarities that lead to the reduction in alcohol-related crashes." Another look at the subject from the University of California, Davis found no relationship between ride sharing and reduced drunken driving. The study analyzed drunken driving-related traffic deaths in 100 metropolitan areas and concluded that ride sharing wasn't making things better. That could have been because ride-share users were people who probably wouldn't have driven drunk regardless, either because they would have taken public transit or a taxi if Uber wasn't available, or because they didn't own a car. It also could be because drunken people don't make great decisions, the study stated, so they're not going to be any more rational about getting home than any other choice they would make after a half- dozen drinks. That study's most recent data came from 2014, and coauthor Noli Brazil acknowledged that ride sharing's growth could lead to different findings today. He also highlighted how difficult it is to isolate ride-share users from non-ride-share users in a controlled setting. "The most ideal, probably most unrealistic way to look at this issue," he said, is to "have an experiment, randomize a group of people. One group has access to Uber, another group doesn't." As Uber and Lyft grow in popularity nationwide, transit experts and researchers have found evidence that the industry causes increased street congestion and shrinks public transit ridership. The question of whether it's contributing something more than convenience to a city is an interesting one, and researchers say they'll keep investigating. Transportation and law enforcement officials statewide say ride sharing at the least isn't creating more drunken drivers and likely is playing a role in making the streets safer. "Many of my officers believe that ride sharing such as Lyft and Uber have definitely impacted the amount of people operating while DUI," said Capt. Mark Overwise, commander of the Philadelphia Police Department's accident and investigation district. "This would logically support a decrease in the amount of DUI arrests; however, it is difficult to quantify."